A lot of the music released today under the “progressive” umbrella has very little in common with the banks-of-keyboards variety that flourished in the early Seventies. On the other hand, the rather stale adherence to modes of expression that were forward-thinking in their time is still seen by many as a requirement for artists who want to aspire to the “prog” tag, and anything deviating from that template is often hastily dismissed. Southern California duo Fernwood belong to that vast grey area, which often houses veritable gems always at risk of being overlooked by the “prog audience” at large. However, one half of the duo has serious prog credentials – being none other than Gayle Ellett of Djam Karet fame. The epitome of eclecticism, Ellett (one of the few professional musicians in the modern prog scene) is a gifted multi-instrumentalist and composer, involved in projects that go from movie scores to the hypnotic, Crimson-infused sound of Texas outfit Herd of Instinct. Though not as familiar to prog audiences, the duo’s other half, Todd Montgomery, has a 40-year-odd career as a musician under his belt, especially in the field of traditional music from the Old and the New World. My first contact with Fernwood came a few years ago, when I was writing for another website, and often had to deal with music that did nothing for me (and that’s an understatement). When I received the duo’s second album, Sangita, right from the first listen it felt like a diamond lost in a sea of coarse glass. While the music – performed with an array of exotic, mostly wooden instruments with arcane names – was disqualified from being “rock” by a lack of drums, it possessed a beauty and elegance (not to mention a level of subtle, understated complexity) that are often missing in a lot (of conventional progressive rock. 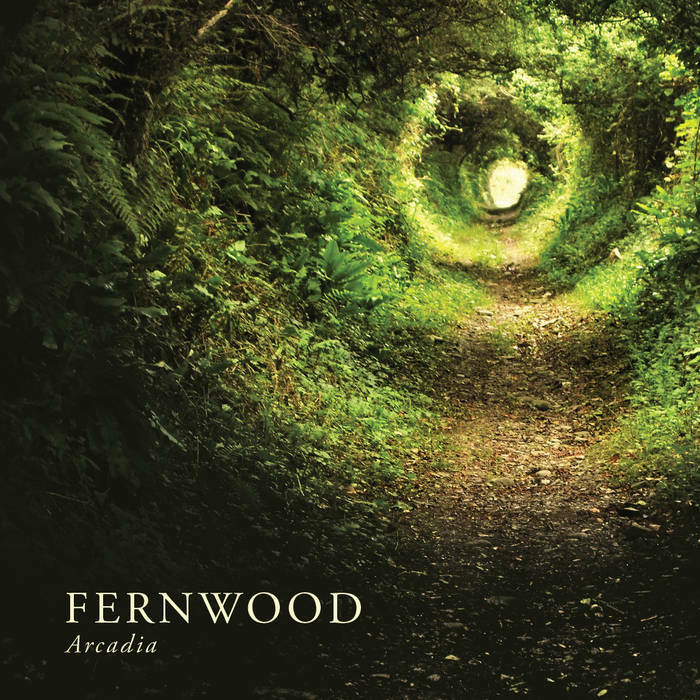 Now, better late than never (as the album was released in February, when I was dealing with some personal issues), Arcadia, Fernwood’s third recording effort has finally come under my scrutiny. Packaged in pristinely beautiful nature photography, Arcadia is a concept album of sorts – its 11 tracks (all on the short side, the longest clocking in at under 5 minutes) representing stages of a journey in search of the titular Utopian paradise. Unlike in most of my reviews, there is very little point in a track-by-track analysis in the case of Arcadia, as the compositions form an organic whole, and the differences between them are a matter of subtle nuances. In fact, they can be seen as impressionistic sketches, in which the instruments are used like colours to create a warm, multi-hued palette celebrating the beauty of nature. Influences from a wide range of musical traditions (Celtic in “Vision at Vasquez Rocks”, Far Eastern in the rarefied “Winter Way”, to name but two) are brought to bear, each piece exploring a range of shifting moods in tune with the changing seasons. Here and there, touches of modern technology, such as brief but recognizable Mellotron washes, enhance the delightfully laid-back atmospheres. Needless to say, Arcadia is not recommended to anyone looking for a true-blue prog album in the key of Ellett’s main gig, though it will appeal quite a lot to those who are on the lookout for interesting music on the fringes of the variegated prog sphere. Soothing and refreshing, and romantic in the original sense of the word, Arcadia is the perfect antidote to the frantic pace of modern life, and to the plasticky, disposable quality of most of what passes for music these days. In the past few years, London-based guitarist and composer Matt Stevens has become one of the most prolific and intriguing figures on the variegated progressive rock scene. Active both as a solo artist and with his band The Fierce And The Dead, he has also appeared on albums of other notable British outfits, such as Cosmograf and Nine Stones Close. Lucid, his fourth studio album, released on Esoteric Antenna in March 2014, was the result of three years of work, and was developed during what Stevens openly admitted was a dark time in his life. While committed to the progressive rock cause, and therefore not at all reluctant to be labeled as a prog artist, Stevens is also an omnivorous listener, whose musical interests range from “pronk” icons The Cardiacs to extreme metal by way of King Crimson, Nick Drake and Neil Young. This open-minded attitude is reflected in his music, based on acoustic guitar and live loops – a veritable “guitar orchestra” – which has been performed all over Great Britain. For a first-time listener, one of the most surprising (and refreshing) aspects of Lucid is that Stevens manages to create energetic, often hard-edged music with an instrument that, in popular imagination, is associated more with folk or singer-songwriters than rock. Enriched by the contribution of guest musicians from some of Britain’s most interesting modern progressive outfits (including his The Fierce and The Dead partners, drummer Stuart Marshall and bassist Kev Feazey, who is also the album’s producer), the album is a tightly composed effort that also allows Stevens to explore new territory, while refining and maturing the style he had already showcased in his previous releases. With most tracks between two and five minutes (for an overall running time of around 42 minutes), Lucid runs counter to the stereotypical prog trend of long, rambling compositions. Though King Crimson will inevitably come to mind on more than one occasion, Stevens’ manifold influences are brought to bear, and an almost punk attitude emerges, especially in the more upfront pieces such as opener “Oxymoron”, which barges in assertively, blending energy and a quirky sense of melody. The spirit of Fripp’s trailblazing crew is never far, and the participation of drummer Pat Mastelotto on the powerful yet hypnotic “The Ascent” reinforces the connection. On this particular track, Stevens pulls out all the stops, sparring with Mastelotto and renowned bassist Lorenzo Feliciati in a crescendo of intensity only marginally tempered by Jem Godfrey’s keyboards. In a very similar vein, “Unsettled” foregrounds the angular interplay of guitar and drums, then the guitar takes the lead forcefully with an almost howling tone. Other tracks emphasize the atmospheric component of Stevens’ compositional vein, though never stinting on the aggression whenever necessary. The spacious texture and juxtaposition of gentleness and almost industrial edginess of “Flow” reminded me of Herd of Instinct, as did the subdued, ethnic-tinged “The Other Side”, to which Knifeworld bassist Charlie Cawood contributes the lilting sound of the Chinese pipa. More Eastern suggestions surface in the beautiful yet vaguely ominous “Coulrophobia” (fear of clowns), John Hart’s crystalline vibraphone and Guapo’s Emmett Elvin’s subtle keyboards perfectly complementing Stevens’ chiming guitar. “Street and Circus”, a slow and evocative duet between Stevens and Stuart Marshall’s measured drums, at times leaving the guitar to emote on its own, provides a fitting introduction to the album’s unexpected pièce de resistance – an almost 12-minute masterpiece of ambiance and shifting moods titled “The Bridge”. Ominous guitar riffs develop into an almost Sabbathian plod, then sustained lead guitar and Chrissie Caulfield’s violin weave an eerie, ethereal atmosphere with a sense of tension lurking beneath the apparent gentleness. Towards the end, Stevens’ guitar surges in a wailing tone, leading to a cinematic ending that, once again, put me in mind of Herd of Instinct’s most ambitious compositions. The album’s wrap-up comes in apparently anticlimactic fashion, with the soothing, melancholy melody of the sparse “A Boy” – a companion piece to the fluid elegance of “KEA”, showcasing Stevens’ skillful use of acoustic loops. 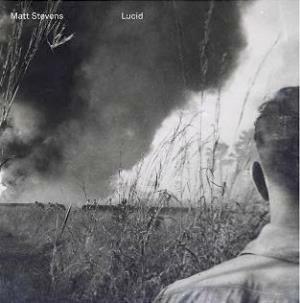 A big step forward in Matt Stevens’ career as a musician, composer and performer, Lucid is a masterful example of instrumental progressive rock with a contemporary attitude and a healthy respect for the genre’s glorious past. Because of his dedication to his craft and fiercely independent spirit, Stevens has become an example to follow for many non-mainstream musicians, and the sound advice laid out in his blog makes essential reading for anyone venturing into the troubled waters of progressive music-making. In any case, Lucid is essential listening for anyone keen to explore innovative approaches to guitar playing, as well as fans of the King Crimson school of prog. Pensiero Nomade is a solo project by Sicilian-born guitarist/composer Salvo Lazzara – previously know to fans of Italian progressive rock as a member of Germinale, a band that released three albums for Mellow Records in the Nineties, and also participated in some of the tribute compilations released by that label. At the beginning of the new century Lazzara moved to Rome, where he realized that his musical interests were changing, and took up the study of jazz and improvisation. Pensiero Nomade was born from that experience: the project’s very name hints at the wide range of influences that inform Lazzara’s compositional approach, from jazz to world music to ambient/electronics. The project’s debut album, Per questi e altri naufragi, was released in 2007, and followed by Tempi migliori (2009), Materie e memorie (2011), and, finally, Imperfetta solitudine in the summer of 2013. While Pensiero Nomade’s previous album saw Lazzara flanked by a group of four musicians, including a flutist and a keyboardist, the lineup on Imperfetta solitudine is a stripped-down trio that features Luca Pietropaoli on trumpet, flugelhorn, piano, contrabass and electronics, and Davide Guidoni (one-half of Daal, as well an excellent graphic artist) on drums and percussion. The result is an album that, while undoubtedly “progressive”, is quite far removed from “prog” in a conventional sense. Indeed, unlike many contemporary prog albums, Imperfetta solitudine is neither brash or loud, though it would be a mistake to consider it mere background music. It certainly needs to be savoured at the right time and in the right surroundings, preferably after the sun has gone down, and when it is possible to lend it some attention – as is the case with albums in which subtlety and nuance are much more important than forced variety. Nothing is fast or hurried here, and the musical texture is loose and atmospheric, though not random. The sounds are organic, never jarring, but not artificially smooth either. The gentle movement of Lazzara’s acoustic guitar in opener “Barcarola” evokes flowing water, while the trumpet’s smoky, melancholy voice sounds almost human. The same pensive tone, almost an aid to meditation and reflection, can be found in the melodiously wistful “Calce e carbone”, the ethereal “Tournesol” and solemn closing track “Verso casa”. The faintly disquieting “Sensitive” is the only number to feature the haunting vocals of guest artist Clarissa Botsford; while the uplifting “Cerchi d’acqua” exudes an almost vintage West Coast feel. The 11 tracks are all relatively short, and only the title-track – a lovely, harmonious guitar bravura piece in which Lazzara uses the strings to create a percussion-like effect – exceeds 6 minutes. 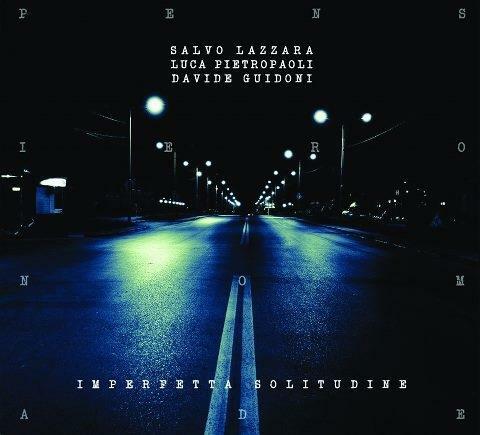 While the emphasis is firmly placed on the seamless, constantly riveting interplay between Lazzara’s guitar and Pietropaoli’s trumpet, Guidoni’s elegant, accomplished rhythmic touch adds dimension to otherwise low-key tracks such as “Scirocco” and La colomba e il pavone”; then it comes into its own in the lively “Prima dell’estate”, where it engages in a striking “dialogue” with the trumpet, and” and the stately “Danza notturna”, to which hand percussion adds a discreet touch of warmth. Although Imperfetta solitudine is very likely to have flown under the radar of most “mainstream” prog fans, it can be warmly recommended to lovers of music that speaks to inner feelings and emotions as well as the ear, and evokes far subtler moods and atmospheres than those usually associated with the pomp and circumstance of classic progressive rock. Complemented by stylishly minimalist cover photography that reflects the nocturnal, meditative nature of the music, this album will appeal to devotees of the output of labels such as ECM or Moonjune Records, as well as those who are keen to explore the thriving diversity of the Italian music scene. With their distinctive name that celebrates the joys of possibility, all-acoustic outfit Might Could started out as a duo formed by Andy Tillotson and Tim McCaskey when they were in graduate school at the University of Maryland. They expanded to a trio with the arrival of Aaron Geller in 2003, and finally became a quartet when Luis “Gordo” Nasser, who was at college with both founders, joined on acoustic bass. They released two albums, All Intertwined and Wood Knot, in 2005 and 2007 respectively, before going on hiatus for a few years. Nasser, Tillotson and McCaskey are also members of Sonus Umbra, and Might Could’s third effort, Relics from the Wasteland, was released at the end of August 2013, at the same time as Sonus Umbra’s Winter Soulstice. For all their high technical quotient, acoustic guitar albums can fail to impress some progressive rock fans, who may not fully appreciate the subtlety of music that dispenses with the conventional trappings of rock – without realizing that a band such as Might Could can produce as much complexity as the average prog band with their lush keyboard textures and intricate arrangements. Additionally, as exciting an instrument as the electric guitar can be, it can occasionally come across as ham-fisted if compared to the versatility of its acoustic counterpart – which can be in some ways compared to that of the human voice. Even if acoustic guitar albums can be perceived by some as one-dimensional, Relics from the Wasteland proves this common misconception quite wrong, displaying as many layers of complexity and as wide a range of influences as any “real” prog album. In fact, the presence of Luis Nasser’s acoustic bass adds a depth that compensates for the lack of a conventional rock rhythm section, and the riveting interplay between the three guitars possesses a natural elegance all too often disguised by an electric instrumentation. Relics from the Wasteland’s 12 tracks – none longer than 5 minutes – were all written by Geller, Nasser and Tillotson, with the sole exception of the band’s first two covers: an intense rendition of Samuel Barber’s “Medea’s Dance of Vengeance”, with its spiraling lead guitar, and a version of Jethro Tull’s “Songs from the Wood”. The entertaining liner notes relate the story of some of the titles, mixing family life (the delightful “Crab Recess” and “For Ellie”) with good-natured debauchery (“That’s a Malört” and “Bardog”), and creating a connection between musicians and listeners that accentuates the intimate nature of music such as this – made of a palette of subtle nuances rather than bold brushstrokes. As acoustic guitar music is often associated with the Spanish and Latin tradition, it is not surprising to find a definite Latin flavour right in opener “That’s a Malört”, as well as the sprightly “La Hojarasca”. The lovely, pensive “Relapse”, with its circular structure, and the lilting “Crab Recess” emphasize the band’s more subdued side, while in “Forty Flights” and “Bardog” pace and mood shift nimbly, juxtaposing moments of bouncy energy with pauses of melodic reflection. “Trials of Cromulence” and “The Camels Make the Rules” explore more complex territory, the former introducing some frantic riffs and dynamic percussive patterns in an almost counterpointal structure, the latter unfolding like a conversation between the three guitars, with the bass in a solid supporting role. “For Ellie”, after a very low-key start, turns into a lively homage to Django Reinhardt’s “gypsy jazz” style, while the swaying dance movement of “Sarabande” is fleshed out by organ (courtesy of Sonus Umbra’s keyboardist Brian Harris). An amazingly faithful cover of “Songs from the Wood” wraps up the album, the guitars recreating the vocal interplay of the original, while the bass comes into its own in the second half of the song, with some great percussive effects. 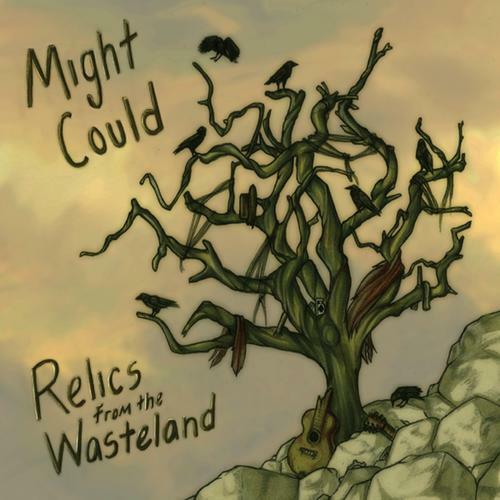 Relics from the Wasteland is highly recommended to lovers of acoustic, progressive-oriented instrumental music such as California Guitar Trio, Béla Fleck or Djam Karet’s Gayle Ellett’s side project Fernwood. This is the kind of music that shines in a live setting, highlighting ensemble playing as well as each musician’s individual style. The cover artwork by New England artist Elizabeth Moss, striking in its stark, almost primitive style, rounds out a classy package that will appeal to all fans of sophisticated music, especially those keen to explore the intriguing soundscapes created by acoustic string instruments..